More than 100 years ago, Americans embraced bicycling as a great way to get around. 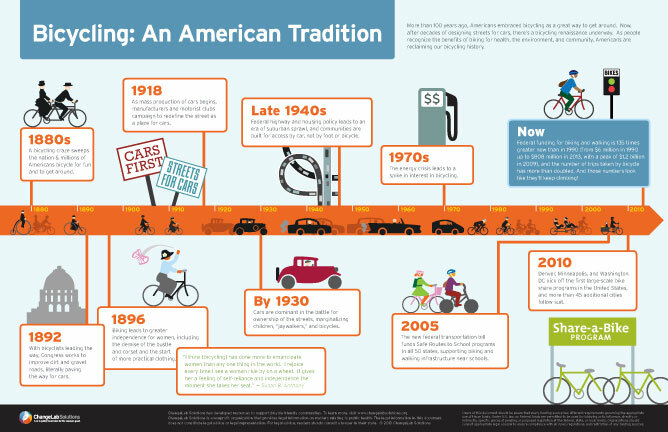 This infographic outlines how, after decades of designing streets for cars, there’s a bicycling renaissance underway. As more people recognize the benefits of biking for health, the environment, and community, Americans are reclaiming our bicycling history.